Gene is a Texas Ranger working under cover to protect an Army wagon train full of ammunition and supplies. The Army doesn't believe him at first, until the Commanches arrive. As the sheriff of a small western town, Autry sings his way into a relationship with Eleanor, a singer from a Chicago nightclub who earlier witnessed a murder. At the Texas Centennial in Dallas Autry confuses two girls by being himself and his own stunt double. A singer stranded in Panama moves in with an ex-soldier and his hypochondriac roommate; she and the former fall in love, but their romance is threatened by work and the arrival of an old flame. When the circus owner friend of the Mesquiteers is framed for counterfeiting by his unscrupulous partner, the trio pledges to maintain his interests and care for his young daughter. Rip-Roarin'...Hard-Ridin'...Texas Rangers...singin'...fightin'...galloping to glory in the greatest saga of their famous history! Texas Ranger Gene Autry: Well, boys, here's where Rufe and I leave you. Frog Millhouse: Aren't you goin' to San Antone with us? Texas Ranger Gene Autry: Nope. We're ridin' to Fort Adobe. 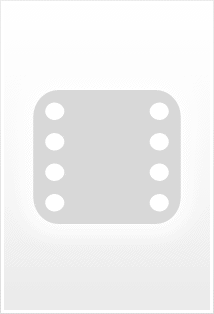 I've been made a lieutenant in the United State cavalry. Frog Millhouse: What did they make out of you, Rufe? Rufe Jones: They made me plain sick to talkin' about Texas bein' better off without us rangers and givin' our jobs to the United States cavalry. A good Western film is built around the Good Guy- Bad Guy conflict and their eventual Showdown. Here, that showdown is there, but it's not the major focus of the film. It's mainly about how we must fight against Indians. Gene and his Texas Rangers know about Indians; the cavalry does not. ("Make your peace sign with one hand, and keep a gun in the other.") We get that awful 'Tarzan talk' in the way the White Man speaks to the Indians. We get the cliché (it was used in John Ford's 'The Iron Horse' in 1924!) of a white man masquerading as a warlike Indian -- except this time he's a saloon owner. There is the throwaway of a love interest (surprisingly, Gene marries her and rides off into the off screen). There is Republic's 'comic relief' of Smiley Burnette and Mex Terhune (he is actually good in this film! ); and the dreadful running gag of Chief Thundercloud, who was so evil in the serial 'Custer's Last Stand' (1934), trying to scalp Frog Millhouse; but there's really nothing of substance going on in this picture. It seems too have been made from the "let's crank out another one" mode as part of the new Republic formula of cheapie B pictures. 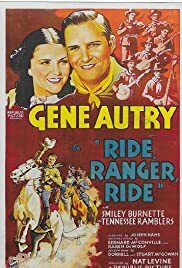 There are much better Gene Autry films that seem more authentic, such as 'Yodelin' Kid From Pine Ridge' (1937) than this third rate formulaic cranked out film. Gene is genial, but overall this movie is worth only a 3.